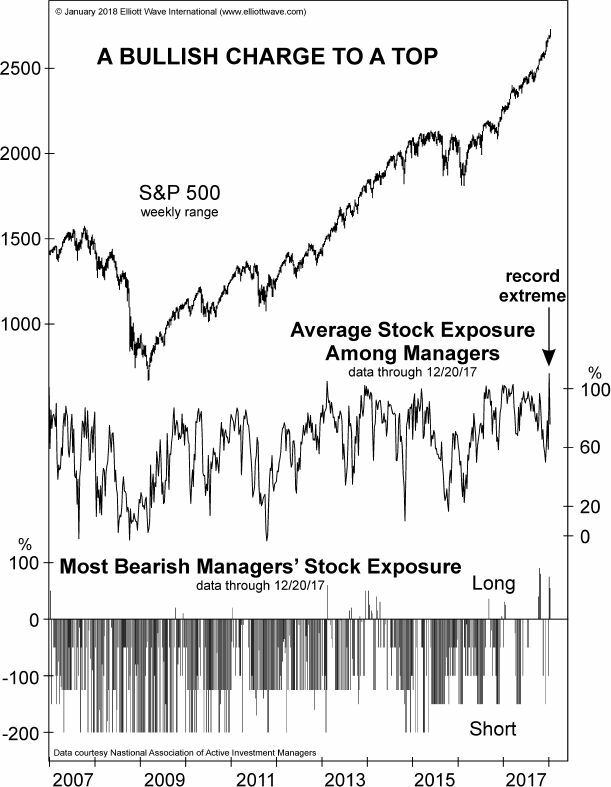 Stock market history shows that when the Elliott wave model of stock market patterns and market bullish/bearish sentiment indicators are aligned, you have the basis for a high-confidence forecast. That was the exact situation back in January, right before the stock market's jarring sell-off, from which stocks still haven't quite recovered. Mature, as in -- we could clearly see a 5-wave price pattern on DJIA charts. When a fifth wave ends, a move in the opposite direction begins. Indeed, just three weeks later, the DJIA hit a peak of 26,617. As you'll recall, a period of wild volatility shortly followed. Sentiment is strikingly suited for the end of an advance. 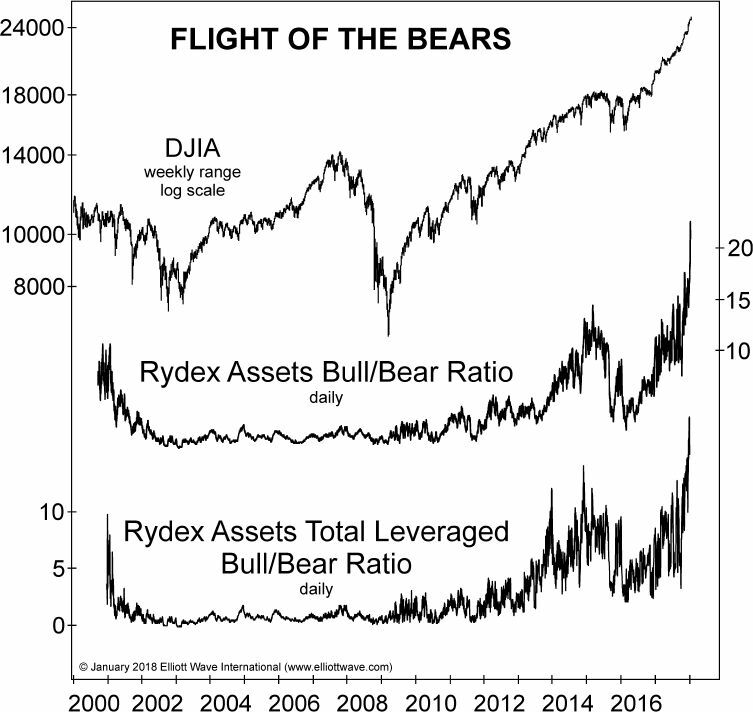 Realize that sentiment is "suited for the end of an advance" when it reaches an extreme bullish reading. In a nutshell, when everyone is bullish, everyone has already bought, so the price cannot move any higher. The opposite is true at the end of a prolonged downturn. Now, let's proceed with the details of key sentiment measures from around the start of 2018. So, as you might imagine, our Elliott Wave Financial Forecast editors were not surprised by the DJIA's peak (26,617) just three weeks later. Regarding the details of EWI's technical analysis at the time, we encourage you to see them for yourself in a new free report that remains relevant now (see below). The January setup will repeat itself, and having the knowledge of what to look for can help you avoid getting caught unprepared -- as well as capturing opportunities that every market reversal presents. Elliott Wave International does not provide investment advice. All rights reserved. Are You Focused on Reality? Awareness is Vitally Important to Trading…But Why? Is Taking Small Profits OK?